Are you looking for cushion or throw pillow printing service to get your logo, brand or even mascot printed? Our cushion and throw pillow are directly imported but locally printed so we can assure you quality printing and fast delivery for a reasonable fee. We’re experienced in supplying cushions & throw pillows for small and large businesses, schools, colleges, universities as well as government departments. Hurry up and contact us today! Our normal cushion size is 40cm x 40cm and the printing area is 18cm x 18cm. Following are the colors available. 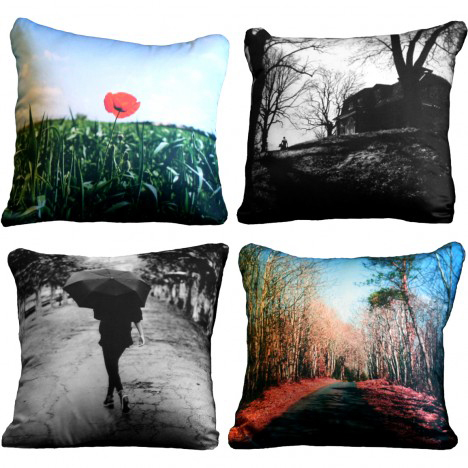 Our full print cushion uses a polyester material for full-colour heat transfer printing. It can be 1-sided or 2-sided. The printed result is always a bit darker than the customer’s artwork. Inner cushion with weight of 350gsm. Long lasting & fade resistant print.